Get your 2019 TOP3Planner now! The Ultimate Planner To Experience True Happiness And Success In 2019! Planning: Make planning an easy to learn daily habit. Balance: Find your work-life-health balance. Top3Planner© is possibly the most effective and most easy to use planner to effectively focus on the most important areas of your life. Make planning your daily habit using this paper based tool. Avoid distractions and first thing in the morning, sit down, take your pen and intuitively focus your planning on the four key areas of your life. 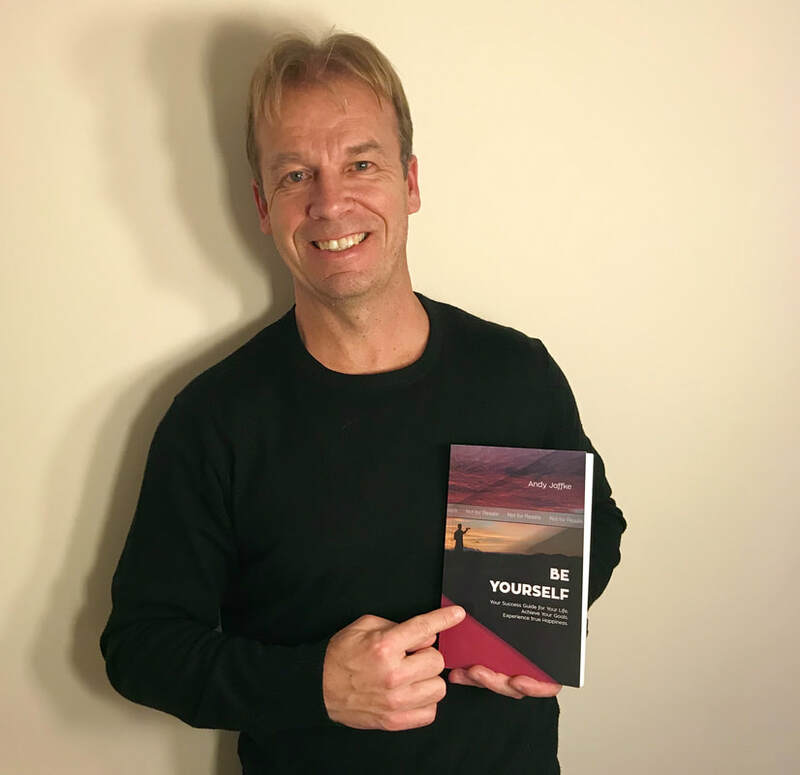 Andy's first book "BE YOURSELF"
You feel somehow stuck in one or several areas of your life and you want to move forward? You have decided to take action and reach out to a professional and experienced coach with a strong professional background? Coaching for everyone - Make everyone a coach! No matter where you are, who you are and what you do, we focus on the individual - we focus only on YOU. We help you find your life balance and to learn how to become a happy person living in harmony with your people and enjoying your life. That is our mission and promise. If you want to become successful and happy, this book is not only a MUST READ, it is a MUST APPLY, MUST DO. This book changes my life and the way I look at things that happen to me. Like Charles Swindoll put it in one of his most famous quotes: "Life is 10% what happens to me and 90% how I react to it." I recommend to buy both the book + the workbook. If you have kids under 10, then please consider to buy "7 habits for Happy Kids" or "The 7 Habits of Happy Kids Collection"
in a nice box which is a beautiful birthday present. I haven't tried the game but my 7 year old daughter loves the characters and the stories that explain the 7 habits in a beautiful way and easy to understand. ​Top Evento 2017: Congreso EMPRENDO 2017 fue todo un éxito ! Visita nuestra página Web del Congreso para ver videos y fotos: www.congresoemprendo.com! Este libro guía mi vida y mi destino desde que hice el curso "Los 7 hábitos de la gente altamente efectiva" hace más de 6 años. Desde entonces me he comprado casi todos los libros de Stephen - que en paz descanse - y los recomiendo a todos mis amigos y compañeros de trabajo porque creo en los 7 hábitos, porque vivo aplicándolos en mi día a día tanto en mi vida profesional como en mi vida personal. No es algo fácil cambiar los hábitos pero sí merece la pena. "La vida empieza más allá de la zona de confort." Y puedo decir con total franqueza que estoy trabajando y mejorando cada día! ﻿You can only get results from coaching if you are coachable. ​This requires the capacity of self awareness. The process is simple and the methodology too. ​Learn how coaching works, how long it takes and what you have to do to succeed. Coaching is 100% results and only results orientated. ​Learn what other entrepreneurs have to say about the Return on Investment of Coaching.